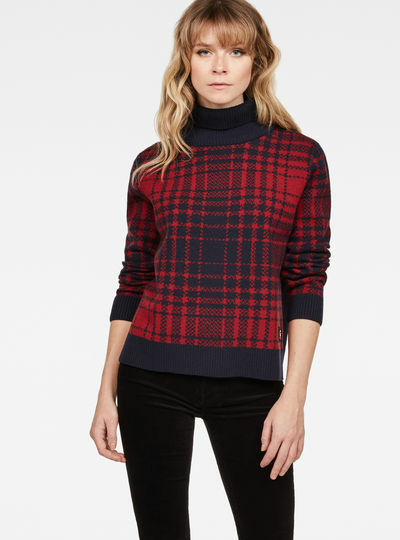 Indispensable for the colder season; stylish knitwear for women. At G-Star RAW you’ll enjoy quality beyond compare. 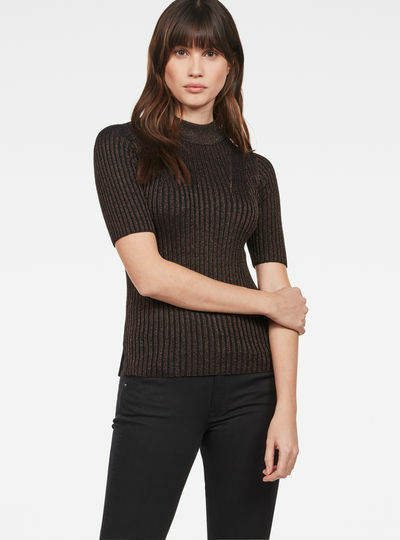 In our collection of women’s knitwear you’ll find soft warm and stylish jumpers and cardigans in a variety of styles that will complement your wardrobe and will help you ease your way through winter’s cold. 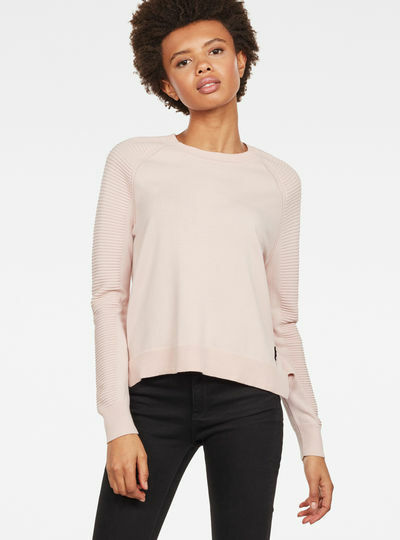 The items in the knitwear for women collection are made of polyester wool and cotton or a mix of those. Discover the diversity of looks that our knitwear collection for women can offer. Pick a classy warm turtleneck cardigan in grey a nice red jumper with zip closures on both sides or a zip through knit with a special print. Whichever option suits your style best G-Star RAW offers you crisp looks for every season with our collection of women’s knit sweaters. 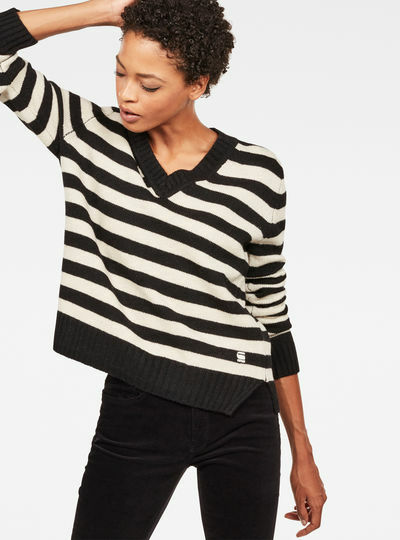 Whether you are looking for a playful striped sweater a slim turtle knit or a simple black V-neck knit; at G-Star you will find your new warm women’s knit sweater. 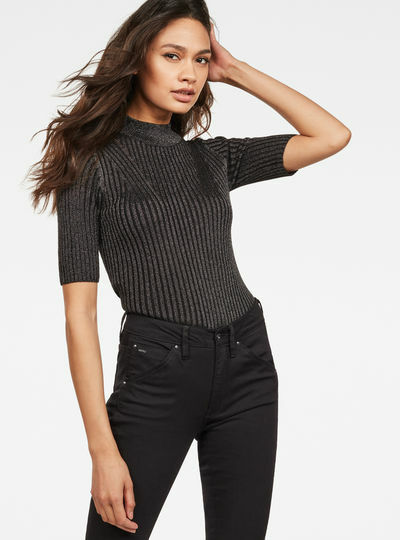 Make your look complete with a high waist black jeans or sturdy boyfriend jeans for a casual look. When you are looking for a more sophisticated style match your cardigan with a classy skirt and a pair of heels. 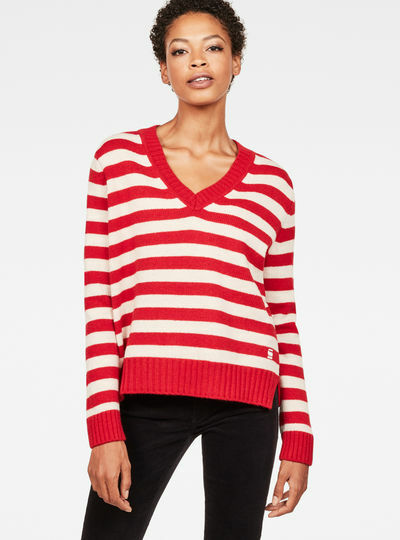 Order knitted sweaters and other women’s knitwear online! Ordering your new knitwear for women was never as easy as in the G-Star RAW online store. 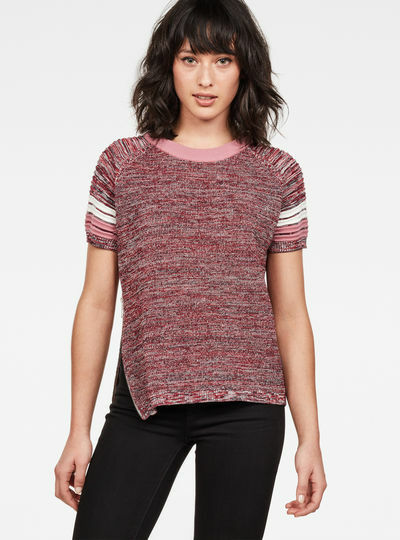 Collect your favorite women’s knitwear in your online shopping cart and once you’ve found all the items you were looking for proceed to the checkout. Choose your preferred payment method and complete the purchase. Your women’s knitwear will leave the G-Star warehouse the same day (Mon-Fri) and will be shipped to your home within days.